We have the experience required to create luxurious custom swimming pools that match the unique wishes of each one of our clients in Mooresville, NC. Custom Swimming Pools in Mooresville – At Lake Norman Signature Pools & Patios, we realize that certain features one homeowner wants in his or her custom swimming pool isn’t necessarily what every other homeowner in Mooresville, North Carolina wants. Because of this, our custom swimming pools are catered to the exact specifications of every homeowner with whom we work. Get ready to build the pool of your dreams! 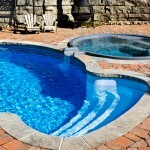 Becoming an expert custom swimming pool designer and installer isn’t something that happens overnight. At Lake Norman Signature Pools & Patios, we have the experience required to create luxurious custom swimming pools that match the unique wishes of each one of our clients. Instead of yearning for a swimming pool, contact us at Lake Norman Signature Pools & Patios today to start designing the backyard of your dreams. At Lake Norman Signature Pools & Patios, we proudly install custom swimming pools in Mooresville, Cornelius, Davidson, Denver, Huntersville, and Lake Norman, North Carolina.